Welcome to the Sax Tutor webpage, if you are just learning the Saxophone then the SaxTutor program could well be what you are looking for. 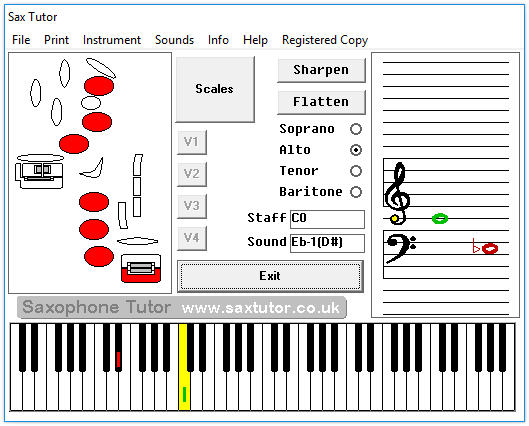 SaxTutor is a small PC program which teaches scales, transposition, fingerings and altissimo notes for soprano, alto, tenor and baritone saxophones. It’s also pretty good at teaching scales on a keyboard!